Once upon a time, over a century ago, French women had to wash their now-famously glowing skin with harsh Parisian water. That is, until a British university discovered micelles in 1913. Eventually, these little spheres of oil suspended in water made their way to French pharmacies, who picked up on the cosmetic use of micelles as a way to cleanse — all without the need to rinse with aforementioned harsh Parisian water — and a beauty invention was born. Since then, French skin care brands like La Roche-Posay and Bioderma have been at the forefront of micellar water technology, the latter perfecting its fatty acid esters to be biologically compatible with the phospholipids of skin cell membranes. (Read my comparison review of Bioderma micellar water with other popular micellar waters.) 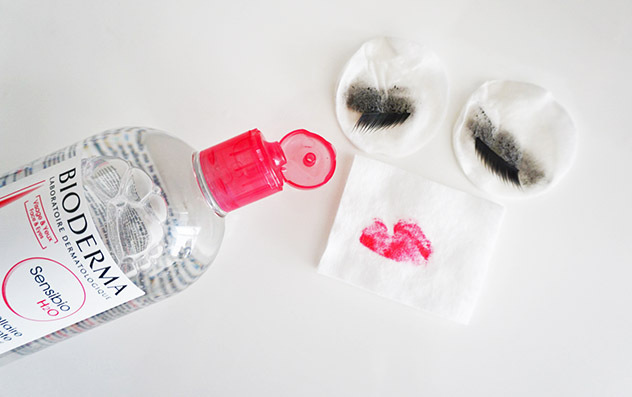 And while makeup artists and Parisian models would hoard the la pharmacie staple as their go-to for removing makeup without an oily after-feel, it wasn’t until recently that the rest of the world caught on to the wonder that is micellar water. Not surprisingly, one of the first to pick up on the magic of micellar water was South Korea. It makes sense. After all, the French had their glory days as the beauty capital of the world for centuries, from Marie Antoinette’s soaring updo’s and elaborate skin care regimen (think snail mucin is weird? Try pigeon water) to Coco Chanel’s signature fragrance. But now it’s K-beauty’s turn. And micellar water is made for K-beauty. From double cleansing to BB cream to mul-gwang, Korean skin care begins and ends with hydration, hydration, hydration. Long before Americans were espousing alcohol-laden toners and harsh chemicals as the preferred method of beautification, women during the Joseon Dynasty were splashing rice water on their face (full of vitamins, minerals, even the antioxidant ferulic acid) and soaking in mineral hot springs for their glowing complexions. And like a fairytale, micellar water — in all its simplicity, its genius — works practically like magic. Micelles are little spheres of oil suspended in water. When they come in contact with your skin, the lipophilic cores draw in oil and dirt, sucking out all the bad stuff from your skin and dissolving them. All they leave behind is soft, hydrated skin without disturbing your skin’s slightly acidic pH, something water doesn’t do (which makes the no rinsing aspect of micellar waters highly attractive). And lest you be scared off by the word “oil,” don’t worry. 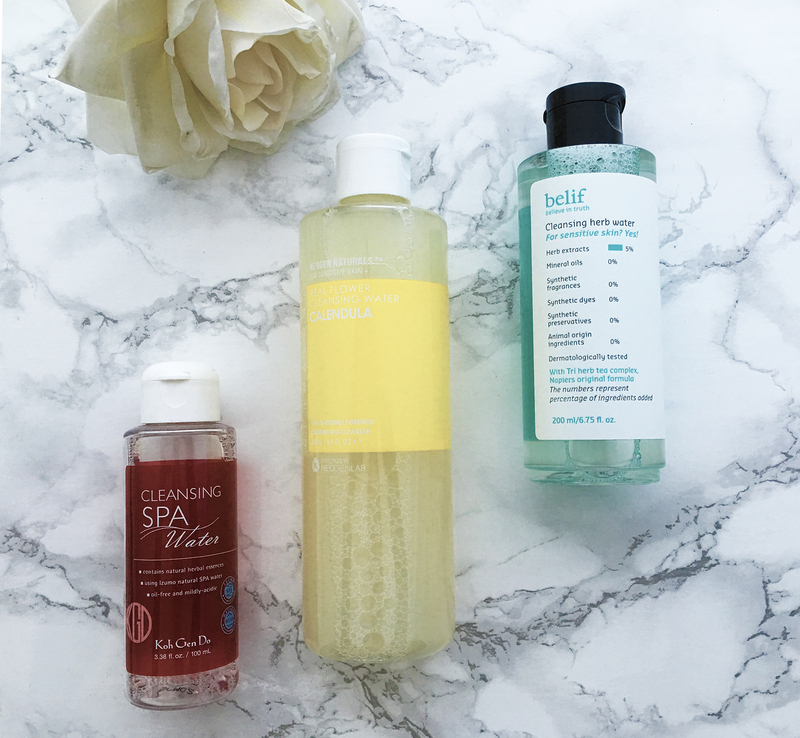 Micellar water is suited for all skin types, even oily and acne-prone. In fact, micellar water may be a better option for reactive skin since it won’t strip you of your natural oils (which would otherwise result in your skin overproducing oil). And sure, while oil cleansers don’t strip either, certain oils may not play well with oily skin (wheat germ oil, linseed oil, soybean oil, and the jury is out on coconut oil). Of course, the beauty industry being what it is, Korean scientists weren’t satisfied with just your basic oil-in-water formula. These days, micellar waters (often called cleansing water in K-beauty) are bolstered with all manner of skin-loving ingredients, from antioxidants to vitamins to even BHA, to go beyond “mere” hydration to fight free radicals, brighten, and exfoliate. Popular cleansing waters include the Insta-bait Son & Park Beauty Water, Neogen Calendula Cleansing Water, Innisfree Green Tea Pure Cleansing Water, as well as cleansing waters from Belif, Dr. Jart+, and Etude. 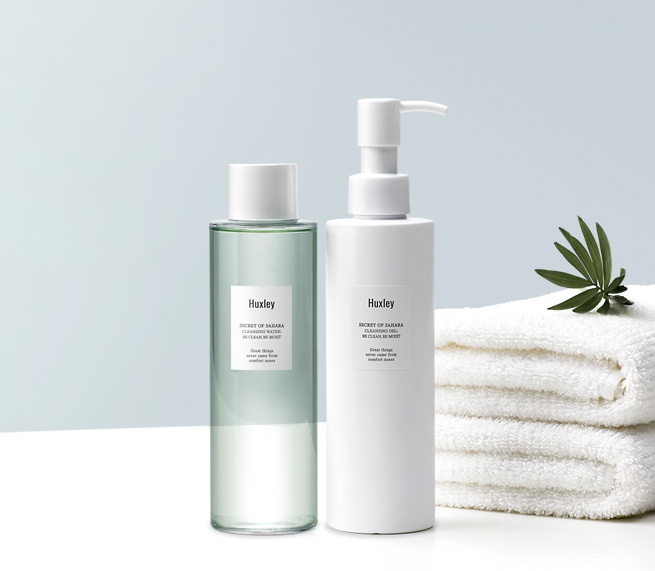 And the newest from Glow Recipe is the gorgeously packaged next-gen micellar water Huxley Cleansing Water: Be Clean, Be Moist. It’s got the basics covered: It tones skin, hydrates, and removes makeup, excess sebum, and environmental debris. But going one (or five) steps further, Huxley contains its signature Sahara prickly pear seed oil, which are rich in antioxidants, amino acids, gamma tocopherol (which has 400 times the vitamin E of olive oil), omega-6 and -9 fatty acids, linoleic acid, flavonoids, and beta-carotene. It also features sodium hyaluronate to draw water to the skin; AHAs from citrus fruit extracts to gently exfoliate; Centella asiatica extract to boost collagen synthesis; and white birch bud extract to calm troubled skin. Because the cleansing water consists of over 74% prickly pear stem extract instead of purified water, typical in other micellar waters, your skin is hydrated deeper and for longer after use. Best of all, it’s certified Ecocert, ensuring you’re not going to be putting any of the baddies on your face. Because there’s no better happily ever after (at least in skin care) than a fresh, clean, hydrated visage after a long day in the office. Wanna know more? Read my comparison review of Bioderma, Koh Gen Do, and Belif. Cleansing waters are great for traveling! Especially when you are unsure about the water quality. You mentioned the Bioderma cleansing water which you used to only be able to get in France and Europe. If you were to go to Iceland, what products would you try to get while you were there? I’m looking for recommendations! Excellent piece! I loved reading the background of cleansing waters. So fascinating! Thanks so much! It was great researching this story. I love learning about the backstory for beauty products!